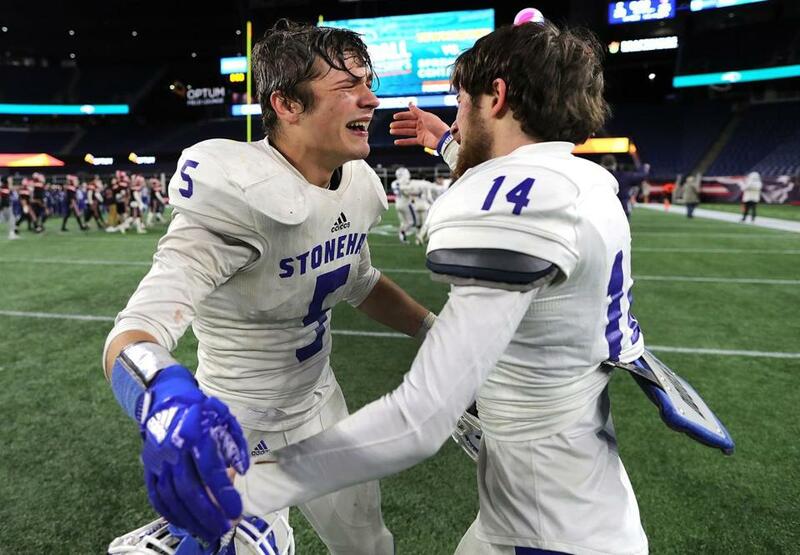 Nicholas Brulport (left) and Dante Messina celebrate Stoneham’s victory in the Division 6 Super Bowl. The 2018 MIAA high school football Super Bowls were held at Gillette Stadium on Nov. 30 and Dec. 1, and eight champions were crowned. Here are the results, with links to the Globe’s coverage of each game. Correction: Because of an editor’s error, the final score of the Division 1 Super Bowl was incorrect in earlier versions of this story. St. John’s Prep won the game.